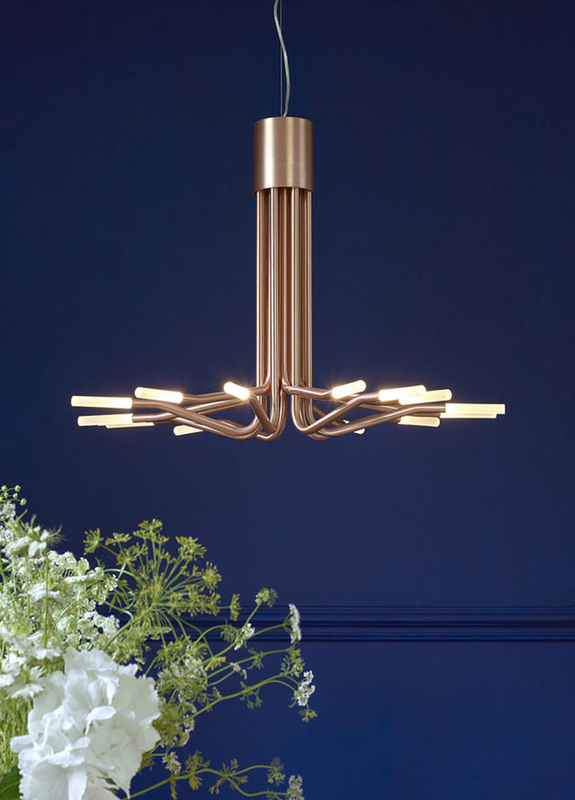 The original idea was to recreate a 1950’s chandelier using metallic tubes as the main material and ending in these 14 luminous points. We replaced the bulbs with more modern LEDs, which enabled us to reduce the overall dimensions of the chandelier and give it a more contemporary look. 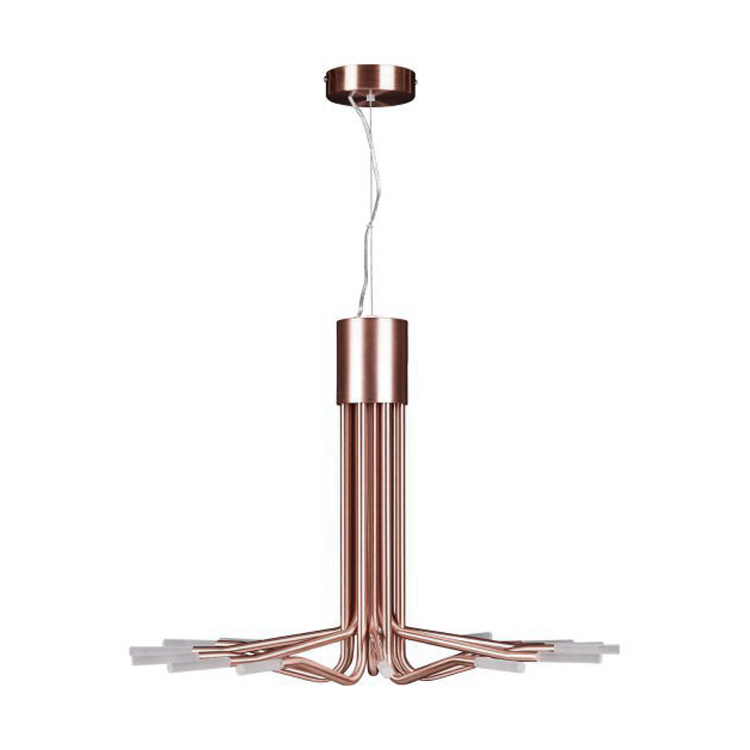 It is now reminiscent of a tree with perfectly structured “branches” which give off a harmonious light.